Celebrate mankind's fascination with the heavens and astronomy's influence on art throughout the ages at Starry, Starry Night on Friday, August 10, beginning at 7pm! After a hiatus last summer, Starry, Starry Night, which coincides with the annual Perseid meteor showers, is back this year and better than ever! Join us for stimulating talks by guest astronomers, storytellers' tales of the stars, contemporary art installations, and films. 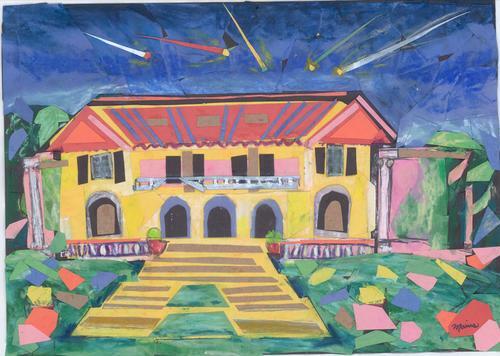 Create your own arts and crafts inspired by the heavens, and sleep under the stars on Montalvo's Great Lawn! In the morning, a pancake breakfast will be served in the historic Villa for those who choose to stay the night. This event is for adults and kids ages 6 & up (under 18 must be accompanied by an adult). For more information and ticket prices, click here. Reserve your spot by calling the Box Office at 408-961-5858 10am-4pm Monday-Friday. Join us on Friday, April 27, for two exciting events with artists from the Lucas Artists Residency Program! At 6pm, Final Fridays will feature artist Justin Lowman in the Residency's Commons building. Lowman, a 2012 Visions from the New California awardee, will discuss his project, Barn Rays, an installation located in a dilapidated two-stall pole barn that Lowman has been excavating since early 2010. 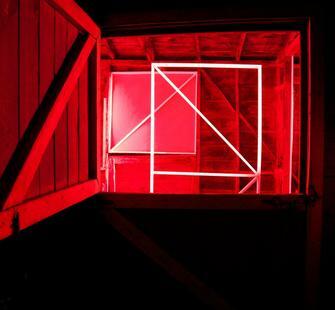 His work explores the relationship between time, light, surface, and color. Final Fridays is a FREE event! Wine will be served, and you will have the opportunity to mingle with artists and Montalvo supporters. At 8pm, join us in the Carriage House Theatre for Conference of the Birds Unfeathered. Composed by Laurie San Martin and inspired by a 12th century poem, this performance incorporates voice, percussion, and computer processed sounds and draws on Korean pansori, Iranian traditional music, bird songs, and Western classical music. Haleh Abghari and Chris Froh will be joined onstage by the Empyrean Ensemble in this unique and inspiring musical story. Tickets for Conference of the Birds Unfeathered are $20 for General Admission, $15 for Members, and $8 for Students. Purchase yours online today, or call the Box Office at 408-961-5858 10am-4pm Monday-Friday. Summer is approaching faster than you think, and your kids will be looking for things to do. Why not get them involved in the arts with one or more of our outstanding Summer Arts Camps? Fun, unique camps such as Circus Arts, African Music & Dance, Comic Book Drawing, Shadow Puppets, Pottery, and Aboriginal Art will inspire your child to explore new forms of art! Musical theatre camps for younger or older children, Missoula Children's Theatre camps (Red Riding Hood or The Secret Garden), and Tools for the Actor will hone your child's performing skills and stage presence with professional actors and teachers. There are plenty of other camps to choose from. Click here for a complete list, or visit our UltraCamp page to register your child for camp online today! 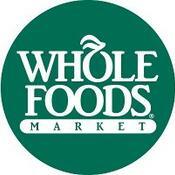 Shopping Day at Whole Foods Market, Los Gatos to benefit Montalvo! A student group performing at the 2011 Arts Splash! Gourmet Food Trucks & Carts include Sam's ChowderMobile, Little Green Cyclo, Tikka Bytes, MoGo BBQ, No Way Jose, Louisiana Territory, Whisk on Wheels, Scoops Ice Cream, Puff Truck, and Quick Dog. Photo Contest: Take photos of your day at Arts Splash! and win tickets to upcoming Montalvo events! To enter the contest, post your pictures to our Facebook or Google+ pages, tweet them to @montalvoarts using #ArtsSplash, or email nzanon@montalvoarts.org. We'll select some of our favorite shots and share them with our fans! Contest Terms & Conditions here. Click here to read a great article in the Campbell Patch about students at Castlemont Elementary School preparing their piece, "Tapestry of Color, Shapes, Thoughts and Quotes," which will be on view at Arts Splash! This fun day for the whole family is FREE! Limited parking is available on-site for $10; free shuttle service will be offered from West Valley College, Parking Lot 5. 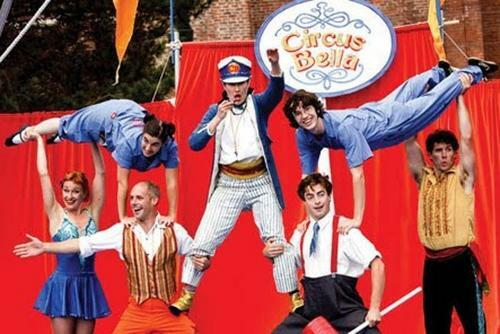 Montalvo's grounds will be transformed into a full-fledged circus on Sunday, July 29, thanks to Circus Bella! Beginning at noon, the Great Lawn will be alive with jugglers, clowns, food, and fun in preparation for a performance by the amazing Circus Bella, an open-air, one-ring circus featuring an ensemble of some of the Bay Area's best circus performers and musicians! The performance begins at 2pm. Admission is $20 for adults and $10 for children (Members: $16/$8), and includes access to all pre-show midway games and activities. Call the Box Office at 408-961-5858 10am-4pm Monday-Friday to purchase your tickets! Watch Circus Bella in action!